What is a Crime Scene Tech? Crime scene techs are trained to study crime scenes. Crime scene techs often work at the scene to make sure relevant evidence is gathered. A crime scene tech will generally work at locations where a crime was committed, which can sometimes be uncomfortable or dangerous. 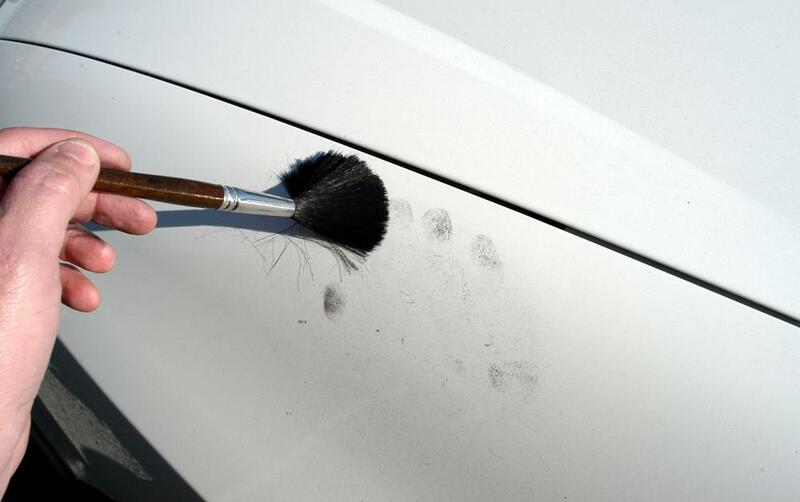 A crime scene tech will often dust the scene for latent fingerprints, which are normally invisible to the naked eye. Crime scene techs collect and document evidence gathered at crime scenes. A crime scene technician, also commonly referred to as a crime scene investigator, is a law enforcement professional who works to identify, uncover, and document any evidence found at a crime scene. He or she takes photographs, collects physical evidence like body fluid, blood, or hair samples, and dusts for fingerprints. A crime scene tech may also interview witnesses or testify in court. A crime scene tech’s job will typically require him or her to go to many different locations on a given day. Although he or she is usually employed by a law enforcement agency, work will require him or her to go to various crime scene locations, anywhere from burglaries to homicide scenes. Part of the job will also require a crime scene tech to spend time in a crime laboratory to analyze evidence, photography development labs, and courtrooms to provide testimony. 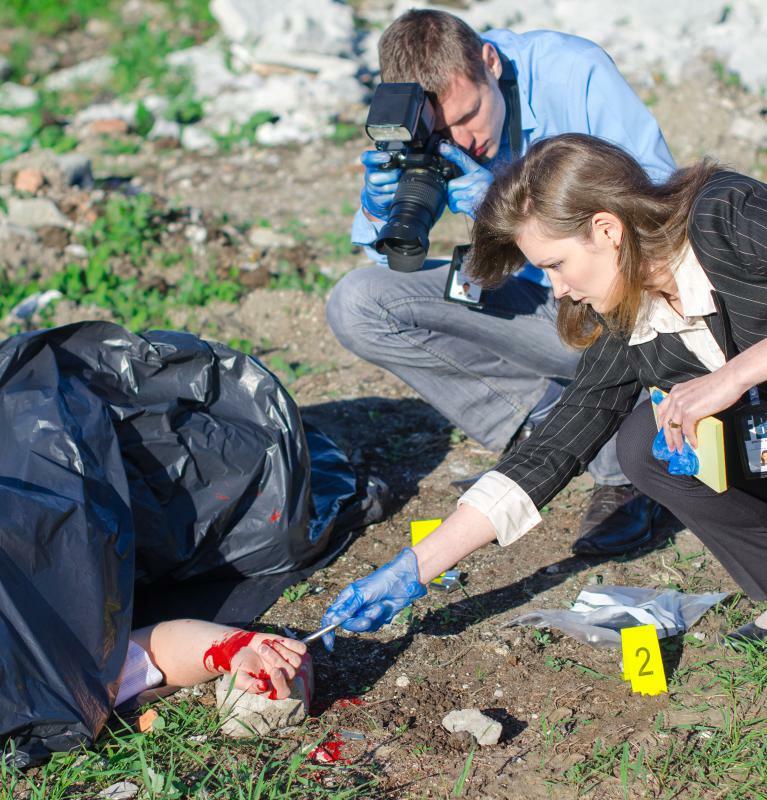 Photography skills are required for the majority of crime scene jobs since a major component of evidence collecting is taking photographs of a crime scene. A crime scene tech will also have knowledge on how to systemically collect evidence in a proper way, in order not to damage its integrity by destroying any DNA traces. He or she will also find, preserve, and decipher fingerprints or footprints for detectives and forensic scientists to use in criminal cases. Administrative aspects of evidence collection are also performed by a crime scene tech, such as compiling information in written reports to be used in trial. There are several variable job duty requirements for a crime scene tech. For example, a crime scene technician must be available to be on call for whenever a crime happens, even in the middle of the night. He or she will typically need written communication skills, as well as knowledge of proper scientific methodology in collecting evidence. Crime scenes may be gruesome in nature, so techs must be comfortable in unpleasant conditions. He or she will also typically be required to have physical stamina, stand for long periods of time, work in uncomfortable or dangerous crime scene locations, and be able to do heavy lifting to look for and collect evidence. Educational requirements for crime scene technicians can vary depending on the specific law enforcement agency. Generally, two years of college coursework in photography, writing, and sciences, like chemistry and biology, is needed to earn a Criminal Scene Technician Certificate. On-the-job training is often more important for a crime scene technician than formal education. A crime scene technician will follow an experienced field training officer who teaches him or her first-hand knowledge at crime scenes. How Do I Choose the Best Evidence Training? What does an Evidence Tech do? How do I Become an Evidence Tech? 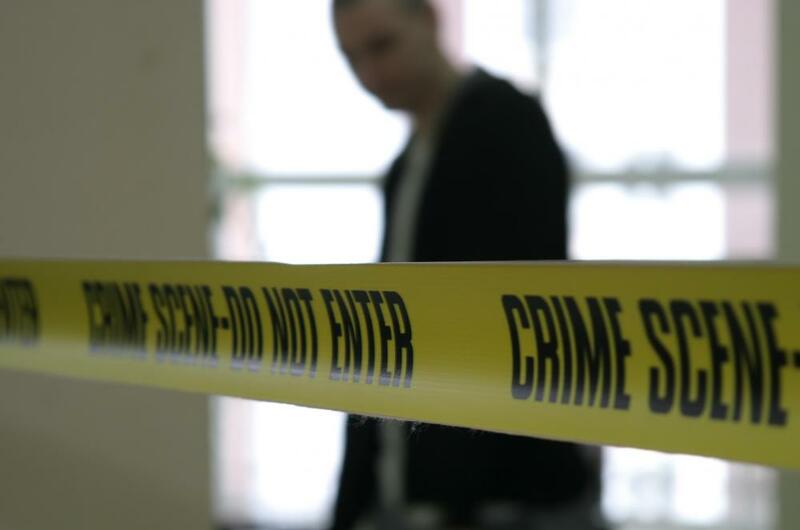 What is Crime Scene Evidence? What are the Different Crime Scene Investigator Jobs? How do I Become a Crime Scene Technician? What are Some Examples of Crime Scene Jobs?